The Philippines has barred entry to an EU party official critical of President Rodrigo Duterte's brutal drugs crackdown, in a move denounced by critics Monday as a gag on dissent. Italian Giacomo Filibeck was detained by border police upon his arrival at Cebu airport Sunday and deported for engaging in "partisan political activity", Philippine immigration authorities and his party said. Filibeck, the deputy secretary general of the Party of European Socialists, flew to the Philippines at the invitation of opposition party Akbayan to attend a congress. He had been part of a delegation of European politicians who conducted an October 2017 fact-finding mission in the Philippines which denounced the "extra-judicial killings" of thousands of people in Duterte's anti-drug crackdown. "This is a gag order to all and sundry that you cannot look into the human rights situation in the Philippines," Akbayan congressman Tom Villarin told AFP. "Actions of the Duterte government... really show that degree of impunity has risen to the level of a dictatorship," he added. Duterte has launched an unprecedented campaign against illegal drugs since winning elections in mid-2016. 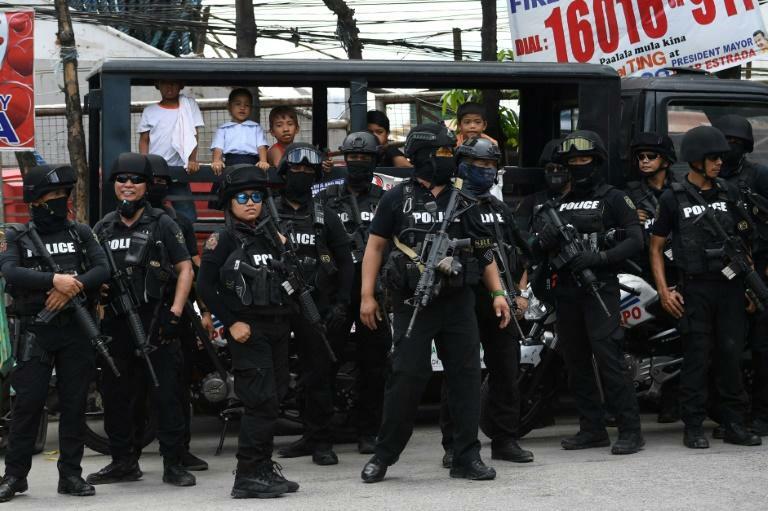 Police say they have killed 4,100 drug suspects as part of the campaign, while rights groups claim the toll is around three times the official figure. The Philippine bureau of immigration said Filibeck had violated conditions of his stay as a tourist. "Mr Filibeck has been blacklisted by the (immigration bureau) for violation of our immigration laws which prohibit aliens staying in our country from engaging in political activities," Justice Secretary Menardo Guevarra told AFP. Duterte's spokesman described the move as an "exercise of sovereignty". "The socialist leader was one of those that we determined as a person that we don't want to be in our territory," presidential spokesman Harry Roque told reporters. Manila and the European Union have clashed over the drugs crackdown, with Brussels saying it was a matter of "serious concern", while Duterte has rejected criticism from the "stupid organisation" and angrily turned down an invitation to an Asia-Europe summit. Filibeck's party denounced his deportation, adding it had informed EU diplomatic chief Federica Mogherini of the incident. "It is completely unacceptable that a PES political representative... should be treated as a criminal on the orders of the government," party president Sergei Stanishev said in a statement on its website. "We refuse to be silenced. We will continue to express our solidarity with the democratic opposition to Mr Duterte's increasingly authoritarian rule in the Philippines."